I saw a post on Facebook earlier today from GDZ Supplements, a manufacturer of nutribollocks products aimed at gullible sports people. 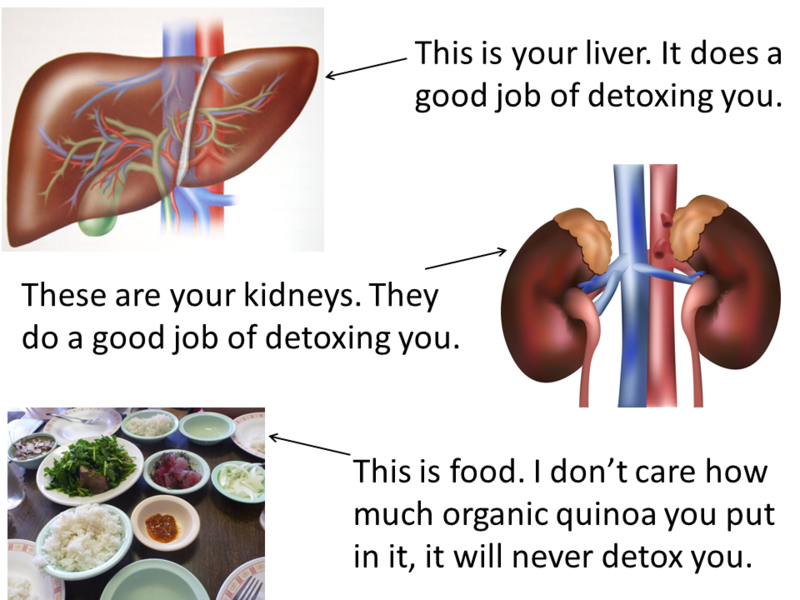 The post claimed that “Scientific studies suggest that substances in milk thistle protect the liver from toxins.” This was as part of their sales spiel for their “Milk Thistle Liver Cleanse”. 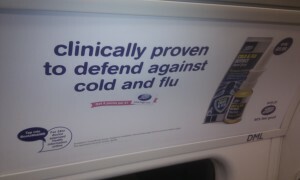 No doubt we are supposed to believe that taking the product makes your liver healthier. Well, if there really are scientific studies, it should be possible to cite them. So I commented on their Facebook post to ask them. They first replied to say that they would email me information if I shared my email address with them, and then when I asked why they couldn’t simply post the links on their Facebook page, they deleted my question and blocked me from their Facebook page. This, folks, is not the action of someone selling things honestly. 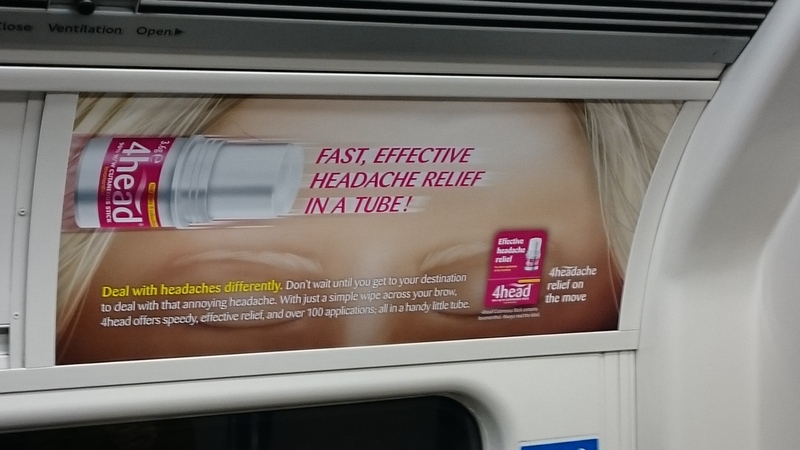 If there were really scientific studies that supported the use of their particular brand of nutribollocks, it would have been perfectly easy to simply post the citation on their Facebook page. 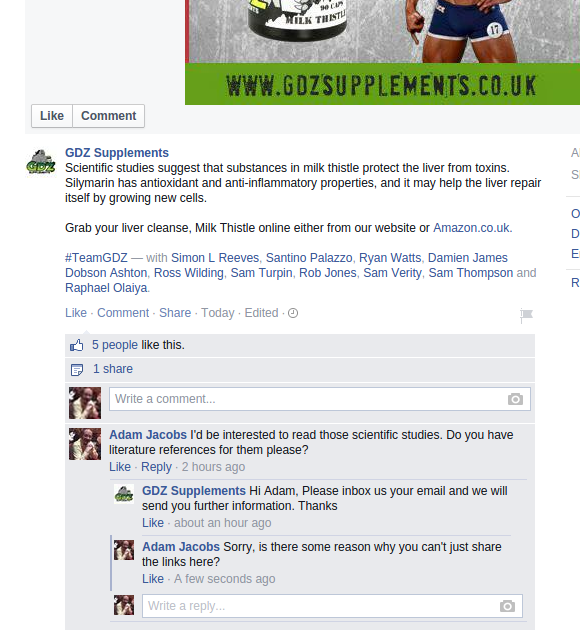 But as it is, GDZ Supplements clearly don’t want anyone asking about the alleged scientific studies. It is hard to think of any explanation for that other than dishonesty on GDZ Supplements’ part.